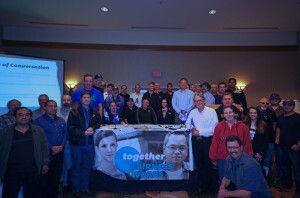 Members from all over BC, attending CLC session. 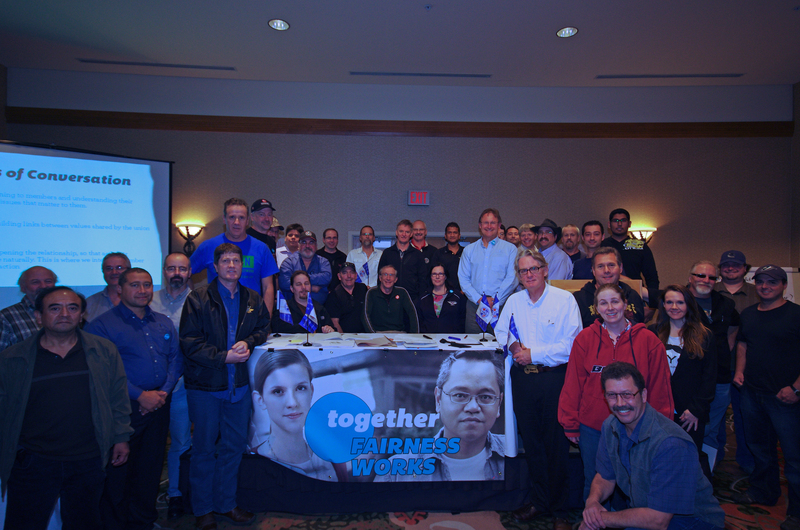 IAM members from LL’s 11,16,456,692,764,1857,and 2711 participated in the CLC’s Together Fairness Works conference. The leadership from British Columbia worked on understanding the political attacks our union faces today with the current Federal Government. Delegates learned ways to plan out a communication model to ensure all IAM sisters and brothers in the province are aware of the harmful legislation that is in design by Stephen Harper. The Fairness works Campaign is connected with the IAM Surveys that are currently going out to every IAM member in Canada.